Remember when smartphone plans were all about the number of call minutes and text messages you got, and the data was unlimited? These days, it’s exactly the opposite. When carriers realized what we really wanted was data, there was a shift to unlimited minutes and texts and data caps — with carriers claiming it was about managing the network. While the situation is better than it was a few years ago, and carriers do offer unlimited plans now (check out our guide to the best unlimited plans), we’re often saddled with unexpected charges, speed throttling, or hidden limits. Every megabyte must be accounted for, or you might find yourself paying an arm and a leg in overage charges, or having your connection speed throttled at the worst time. We’re here to help you set up limits and alerts to keep an eye on your data usage and to provide some tips to help you maximize your data plans. Here is how to reduce your data usage. You will likely overestimate the data you need, so use cold hard facts to make the decision on which data allotment is best for you. Log in to your carrier’s website and review your data usage over the past few months. Select a plan that is higher than the amount of data you used during this period — but as close to that number as possible. A tool like Verizon’s Data Calculator is great to get a rough estimate of what your data usage is, but we recommend basing it on your real-world use. Still unsure, or just want to be certain? Check out our in-depth guide to choosing the right data plan for you. Does your carrier offer some type of rollover data option? If so, you might even have extra data to fall back on in an emergency should you use more data than normal in a particular month. 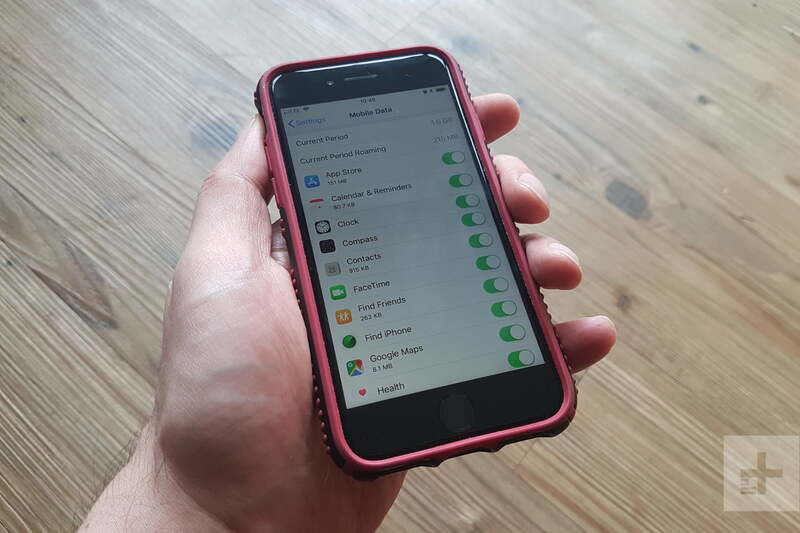 You can check your data usage on iOS devices by going to Settings > Cellular or Mobile data. These data stats do not reset each billing period automatically, so you have to remember to do it yourself. 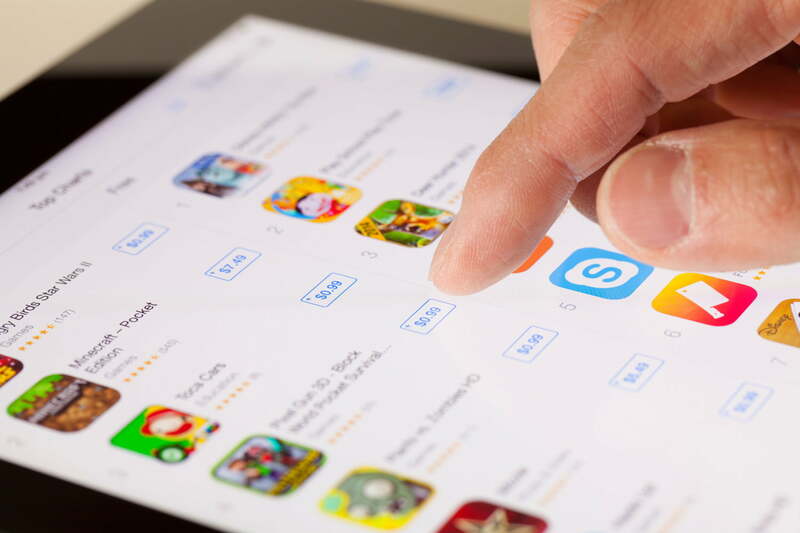 If you’re looking for a more tailored way of tracking data usage on your iPhone or iPad, we recommend you look at some third-party apps. My Data Manager keeps track of your usage and even allows you to set custom alarms when you exceed a certain amount of data in a month. On Android 4.0 or later, you can check your data usage just like iOS, but also set alerts and limits. Go to Settings, and under Wireless & Networks, tap on Data usage or Mobile data (you might need to look around on different Android phones, but it should still be under your Network settings). On a Samsung Galaxy, you will want to go to Settings > Connections to find Data usage. You will see a table showing your data usage for a specific period of time. You can toggle Set mobile data limit and then move the black and red lines to set alerts. The black line will trigger a notification that you’re approaching your limit, while the red line represents the threshold where your Android device shuts off cellular data. Again, Android has some apps tailored to tracking your usage, but unlike iOS, Android’s built-in controls are good enough that you shouldn’t need to use anything but the baked-in settings. Another option is using your carrier’s mobile apps. How your carrier accounts for your data usage might be different than what iOS and Android say, so we recommend you keep an eye on your data here for the most accurate information. You should also consider turning mobile data off whenever you don’t need it. There is a cardinal rule for saving cellular data: If there’s Wi-Fi, use it. Chances are at both home and work you’ll have some type of Wi-Fi access to connect to, and even in many public places — including parks, supermarkets, even department stores — public Wi-Fi is there for your use. While some may require you to accept terms and conditions in order to connect, many do not, and once you connect the first time it will connect automatically when you’re in range. Get in the habit of checking when you’re somewhere new, and this will lead to a substantial drop in cellular data usage. Some carriers also offer hot spot networks of their own. AT&T offers connectivity through a network of hotspots (see this Wi-Fi hotspot locator map), Verizon also offers a similar service and T-Mobile offer hotspot usage for a monthly fee. Even if you don’t have hotspot access from any of the above, you can still take advantage of the hundreds of thousands of free Wi-Fi hotspots around the world. Although we would advise you to use a VPN if you’re going to risk connecting to a lot of public Wi-Fi networks. Background data is one of the biggest drains on your data allotment, and you might not even realize it’s happening. Mail working to sync new messages as you receive them, or your phone automatically downloading new app updates. Do you really need this? Can something wait until you’re connected to Wi-Fi? Review what is using cellular data and make any necessary changes. In iOS, this is located under Settings > Cellular or Mobile data, and in Android, under Settings > Wireless & Networks > Data usage or Settings > Connections > Data usage on a Samsung. On an iPhone, you can just toggle off individual apps that are using too much data and you can go to Settings > General and toggle Background App Refresh off. We recommend going to Settings > iTunes & App Store to toggle Use Cellular Data (or Mobile Data) off. If you aren’t worried about instantly backing everything up you could also go to Settings > iCloud > iCloud Drive and scroll down to toggle off Use Cellular Data. If you see individual apps that are chewing through too much data on Android, tap on the app and consider toggling Background data or Allow background data usage off — just be aware that it will limit the app’s ability to update in the background. Consider opening up the Play Store, tapping the three horizontal lines at the top left to open the menu, then tap Settings > Auto-update apps and choose Auto-update apps over Wi-Fi only. You can also look in Settings > Accounts > Google and toggle off anything you don’t want to sync. Use Wi-Fi where you can. Doing so might also have the added benefit of increasing your battery life, since fewer apps are pulling on resources. Navigation apps can be a surprisingly large hog on your data. If you’re using them all the time — to find specific shops or restaurants — or if you’re in a new city, maybe you should look at downloading the area map ahead of time? If you’re an Android user, this is simple. Just boot up Google Maps, search for the area you want to download, then tap More info, followed by Download. You can do the same in iOS by tapping to open the menu in Google Maps, then tapping Offline areas followed by the plus icon on the lower right. Define your area, tap Download, then name it and tap Save. Alternatively, you can load a route ahead of time, and Apple Maps’ cache will remember the way without a need for a data connection. Simply enter your route in as normal while on Wi-Fi, allow it to load fully, then exit your app and turn off your data connection. If relying on the app’s cache is a bit scary for you, Apple Maps also allows you to export area maps as PDFs, which can then be printed off. If you’re using Chrome, then you can tap the three-dot menu at the top right, choose Settings and turn Data saver on and it will automatically compress pages before downloading them. You might also consider using a browser like Opera Mini (Android, iOS), as it’s designed to compress data and dramatically reduce your usage when browsing. Videos are by far the biggest drain on your data, so if you stream a lot of YouTube content, then consider YouTube Red. That is the company’s premium service which costs $10 per month. While it might sound like a lot, in addition to the option of saving videos onto your device, you also have their music service built in. With other streaming subscriptions, you will want to check where they offer offline content too. Apps like Apple Music (Android, iOS), Google Play Music (Android, iOS), and Spotify (Android, iOS) allow you to create playlists for offline listening, but you will need some space to store them. Spotify even allows you the option to download all your saved songs — so there is a decent chunk of streaming saved. If you’re a fan of listening to podcasts on the move, consider getting a podcast app like Pocket Casts (Android, iOS). It might cost a few bucks, but it has a huge library of available podcasts (including some of our favorites), and offers the option to wait until you’ve connected to a Wi-Fi network before downloading any new episodes.